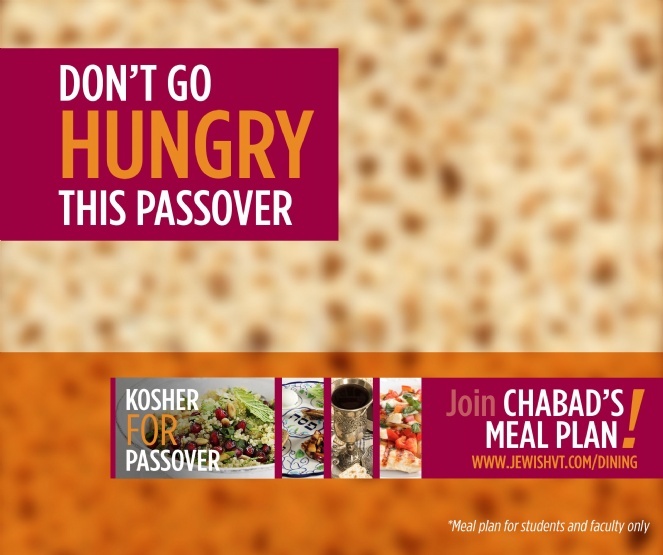 We will provide you with fresh Lunch & Dinner every day of Passover. That's 17 meals! Order by April 11th for extra reduced rate. Choose which meals, lunch and dinner, you would like to order for Passover. Must be reserved before Passover. Lunch will be packaged to go, picked up at Chabad. Dinner will be a sit down at Chabad. Chabad: Librescu Jewish Center, 301 Wall St. (corner of Wall St. and Otey St.).